In case you haven’t been able to tell, I really like Christmas and Christmas movies. Between my factoid on “Home Alone,” my “Elf” moviegoers challenge, and my F.I.L.M. column on “Love Actually” (and another “F.I.L.M.” tied into the holiday coming next week), there’s no shortage of Christmas spirit on this site! “This year, the role of Grinch will be played by Hollywood … the release of new Christmas movies long has been as much a tradition of the season as the annual late-night TV showing of ‘It’s a Wonderful Life’ and shoppers stampeding stores on Black Friday … but this year, there’s hardly a holiday movie in sight. In other words, don’t expect any new Christmas movies anytime soon thanks to the flop of “A Christmas Carol” and the general downward trend of holiday movies. This really is a shame because these are the only types of movies I feel like people have loyalty to; everybody has that “Christmas movie tradition” where they have that one classic that they curl up together and watch. If studios stop churning those out, these experiences become a relic, something only to be nostalgic about. And I don’t want that. 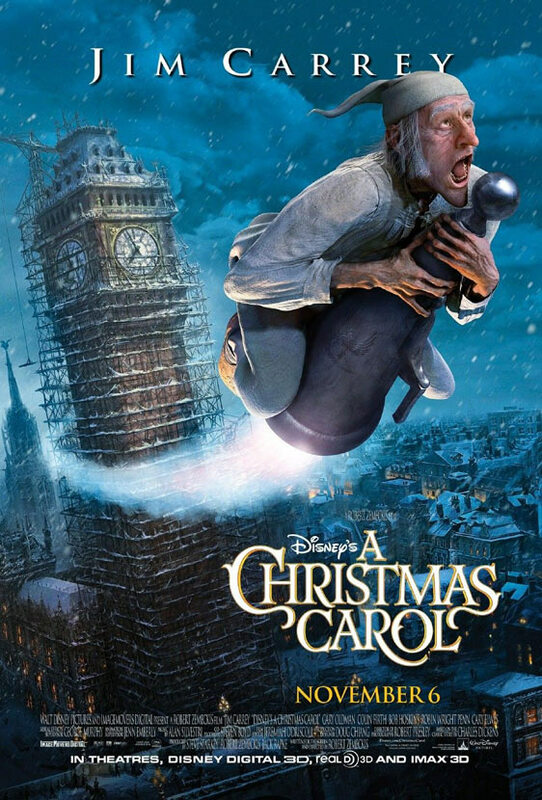 Here’s my suggestion for a new entry into the genre: have James Cameron direct a CGI epic movie about the War on Christmas. Use Pandora as some sort of allegory for the fight between “Happy Holidays” and “Merry Christmas” going on in society nowadays. Bring in blue people, the big man in the red suit, and every CEO of a retail company. It would so be on. Oh, and we’d need Hans Zimmer to score it. Apparently I’m still not growing up. I mentioned in Random Factoid #87 that for a while after turning 12, I was still able to get into movies at children’s price. Over the Thanksgiving holidays, I went with my 9-year-old brother to see “A Christmas Carol” in IMAX. I asked the lady at the kiosk for one student and one child ticket. When I paid, I thought it sounded pretty cheap. 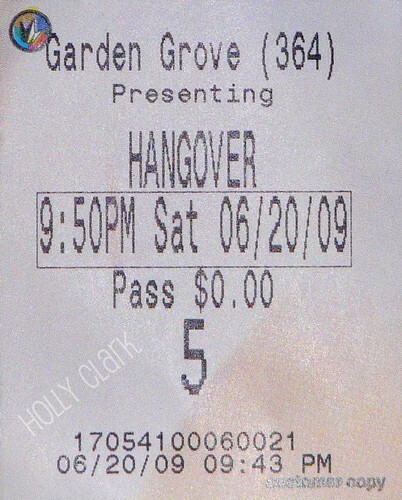 I looked down at the tickets. She charged us for two kids. I am 17 years old and still look under 12, apparently. I can drive a car and see an R-rated movie, yet I can pass for a child. Charles Dickens’ “A Christmas Carol” gets the title “timeless” bestowed on it because every year at Christmas, some new version of his story is spawned. Robert Zemeckis is the latest filmmaker to take a stab at the tale. Rather than revamp, retool, or recondition the story, he simply uses modern technology to retell it in a fun way that stays true to the source material and keeps the soul intact. His “A Christmas Carol” bottles up the real spirit of the holiday season like no recent movie and spreads it through the audience. It really is an empowering feeling to walk out of a movie inspired to put that twenty-dollar bill in the Salvation Army bin, not in the cash register at the mall. The story of Ebenezer Scrooge is probably the second most well-known holiday yarn, weaved into the very fabric of the holiday season itself. We all know it: the old miser with a heart colder than the snow packed on the London sidewalks gets a wake-up call that changes him. Prior, Scrooge scoffed at Christmas with a “bah, humbug.” He scorned those who wanted to care for him and refused to give care to the people that need it the most. He treats his employee like dirt and gives him wages that amount to little more than that. But Scrooge gets a visit from three ghosts – the Ghost of Christmas Past, the Ghost of Christmas Present, and the Ghost of Christmas Yet to Come – that change his perspective by reminding him of the joy that the season used to bring, the plight of those less fortunate, and the bleak future that awaits him if he doesn’t change his ways. The result is a more tender-hearted man who appreciates Christmas and the giving spirit that accompanies it. The readers of “Marshall and the Movies” have come out in record number to tell me what movie the readership is most anticipating in November! Give yourself a pat on the back for that.